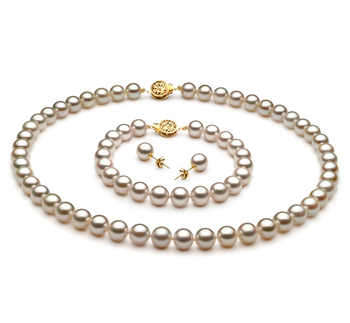 This particular type of white Japanese Akoya set is perfect for women with more delicate features. 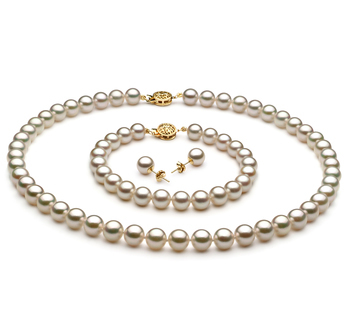 More emphasis is placed on the beauty of the pearl and is further complemented by a simple silver or gold string. 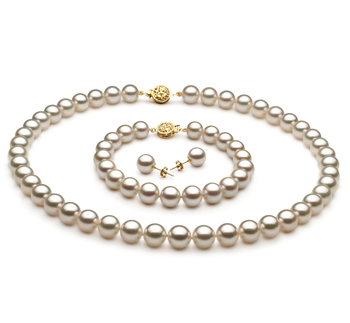 A lovely Japanese white Akoya pearl set looks even more stunning when paired some small cubic zirconia or diamonds. 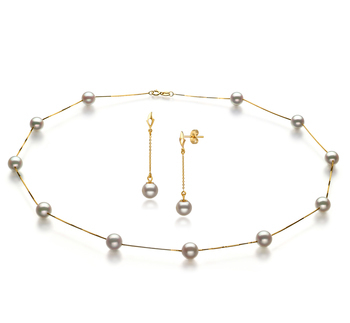 These are accessories that will pair with casual attire as well as with more formal attire. 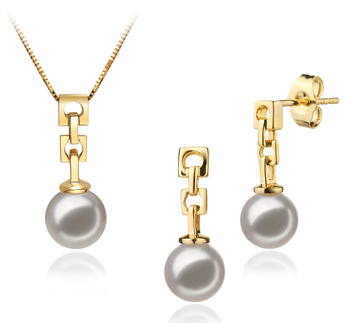 When worn they will further help to highlight any woman’s best features. 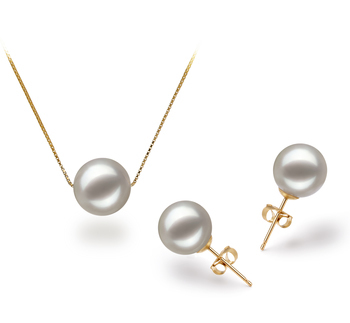 The right white Japanese Akoya pearl sets will add timeless elegance to any outfit, and this is why such sets are so popular with so many women today. 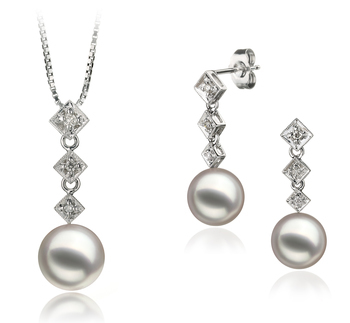 They are also the most versatile of all the pieces that a woman can have in her jewellery collection as they can be worn to a wide variety of different events. 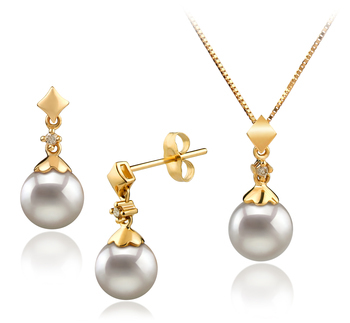 Such a set would look wonderful paired with a smart business suit adding a slight touch of femininity to the ensemble. This type of white Japanese Akoya set would also add a touch more class and elegance to a little black dress or a formal evening gown. 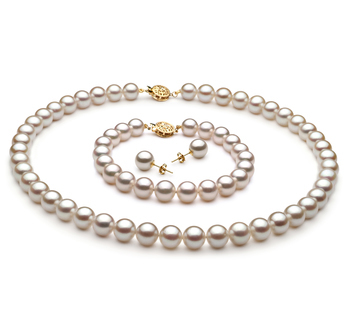 All women will love to own a white Japanese Akoya pearl set as they are suitable to worn at any given time. They will always remain in fashion and the styles we offer will never look outdated and will never take away from the rest of the outfit being worn. Plus of course you don’t need to wear every piece of jewellery that makes up a white Japanese Akoya set, it is perfectly acceptable to mix and match or just wear each piece on its own.